How do you survive the summer? It can be a challenge for working parents, to be sure. But it can also be an opportunity to enjoy more time together. 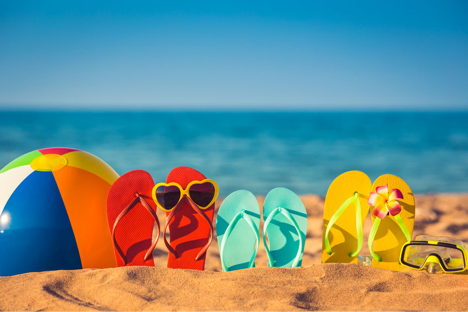 Whether your summer is hectic or calm, we're still here, behind the scenes and prepared to help in any way we can. Our support and resources are free to Designer Society of America members and can prove invaluable, especially when time is of the essence. We're pushing through the final stages before unveiling our brand new website to DSA members later this summer. We're so excited to provide you with this totally changed professional site that will help all of us stay organized and enjoy increased potential for new clients. Remember, as interior designers it's important to market ourselves and keep our portfolios fresh and attractive. Stay tuned for more info! Many of us have spent years pouring over the latest interior design magazines, envying the exposure top designers get for their very best projects. How satisfying it must be to see all the hours of hard work and the myriad of professional decisions we've pumped into a project result in having it printed in a glossy color magazine! You don't have to be among the interior design elite to be featured amongst the pages of such popular publications as Interior Design Magazine, Elle Décor, Belle and Real Living. In fact, many magazines are more than happy to share with us the tips and procedures for submitting a project to be considered for a magazine feature. To get a qualified and deserving project showcased in one of these high-end magazines simply takes a little finesse and a lot of determination. First, it's important to pitch the right story angle to the right demographic. For example, just because the home appears to be a perfect fit for a magazine such as Elle Décor, the photography style might be completely off compared to that of their typical interior design features. Likewise, while a story may seem to be one which would resonate with readership of Real Living, it may not be sophisticated enough for Design Magazine. Remember, it's important to consider not only the publication and the editor you're pitching to but also the readers who pick up a magazine with certain expectations of what they'll see inside. To make the right pitch to the right publication takes a little homework. Familiarize yourself with the magazine you're interested in pitching. Read issues from the past year and get a real feel for their style and level of design. It's also helpful to know what types of projects have been featured in the past year or so. For instance, if a magazine published a gorgeous spread on a Hamptons renovation last year, it's unlikely the editor would consider a similar project in that vicinity for quite some time. Editors can quickly ascertain whether a designer is familiar with their publication based on the projects they pitch. Don't be caught off guard! Of course the competition for getting published is fierce. Take Belle, for example. Each year the magazine receives around 1,000 house submissions from around the world. Of those, a mere 50 to 60 make it into the magazine's glossy pages. Those that are selected have several things in common: the project fits the magazine's format, the style of photography is on point, and the proposed feature article speaks directly to the typical reader of that publication. Likewise, traditional print magazines face tough challenges in today's economy; added to the competition of new venues like online magazines, Houzz and Pinterest. This competitive environment has lead to the closing of some magazines and consolidation within publishers. All in all, the number and page count of projects printed each year is reduced. So while the competition for placement in magazines is still strong, designers vie for fewer pages. And don't spend a fortune hiring a professional photographer just yet. "Snapshots are fine, because if an interior is right for the magazine it will shine though, regardless of the form of the submission," says Neale Whitaker of Belle. "On a practical note, we prefer interiors to be sent through as `storyboards' or as a collection of PDFs in a single email rather than individual emails, one room at a time. Lo-res images please! We can always go back for hi-res later. And if the file is huge, it's a worthwhile courtesy to let us know in advance that it's being sent. There's nothing more frustrating than an inbox being jammed with huge files of unsolicited submissions." Yet another helpful tidbit is knowing what a particular publication has planned for the upcoming year. That information is gathered into what is known in the publishing industry as an "editorial calendar." While knowing the basic focus of each issue is typically very useful for advertising purposes, it can also be key to a successful pitch. If you know, for example, that the editorial calendar for the summer issue of Elle Décor includes a focus on waterfront properties, you can pitch a project that fits right into their plan. Many publications make that information readily available, though you might have to do a little detective work on their website. It's important that you don't get discouraged by a few unsuccessful pitches. Some people have dozens and dozens of rejections before finding just the right fit for just the right publication at just the right time. Also, be patient! It could be days or weeks before you receive a response to a pitch - magazine offices get hectic when print deadlines are looming. And finally, remember to be courteous, even gracious, when you receive a response, even if it isn't the news you want to hear. An editor who says no today just might say yes to a different project later in the year. Editors can spot blanket pitches immediately--especially when they begin with a highly impersonal Dear Editor. When it comes to exclusivity, every publication has its own criteria. Many will run something that has been published, but others--like Rue and Lonny--won't. Most editors prefer to receive pitches via email. The best emailed pitches include a short bit of copy (less than 300 words), and cover all the basics: the name of the designer and/or architect along with the location and the goal of the project. Once the email is sent, give editors some time to process it. Nothing can sour a great pitch like overzealous follow-ups. Once you've reached out to editors, there are steps you can take to increase your visibility such as keeping your website up to date. An updated portfolio website or blog highlighting recent projects and news is helpful to any editor seeking out new projects. Getting the editorial coverage you want can take time. But for designers who are committed, it can be well worth the effort. The mistake many designers make is that they only market themselves when business is slow. Time needs to be allotted every week to make sure the word is being spread about what they're doing, whether that's through social media, postcards of recent work, or email newsletters. You never know what will catch an editor's eye. Even the most finely designed and decorated homes are often in need of a cleansing to clear the space of negative energy. An ancient ceremony conducted by burning sacred plants such as sage, are said to clear and bless the space in which they are conducted. Whether you typically go in for these types of sacred arts or not, smudging can bring a sense of peace and tranquility to your home and to your mind. Stagnant or negative energy in our environment can impact both our physical and mental health. 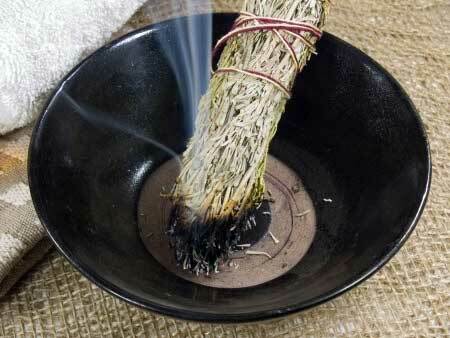 With some simple to follow instructions, anyone can conduct a smudging ceremony in their home. It's important to start with the rooms with the most activity or in a room where something negative has happened, if that is the case. If you consider your rooms neutral or equal, begin the smudging in the east. Keep in mind that smudging can also be beneficial in your office, workshop or other space where you spend a fair amount of time. Though the practice of smudging is not exclusive to them, American Indians have passed along the sacred art of smudging and have a great deal of information and experience to share. Healer and singer Grandmother Wapajea Walks on Water--with lineage from the Choctaw, Creek and Cherokee tribes--sheds some light on the topic. "The goal of smudging is to make a place clear of lingering energy that is different from what you may be intending for that space. You want to prepare the space for ceremony, the way you would clean your house, cook, and decorate when your family comes for a holiday. We are welcoming Great Spirit, angels, and ancestors to come and share clean space with us as well." Smudging is by no means an outdated, archaic practice. It is often used by real estate agents to cleanse apartments, condos, and houses before they are sold. Indeed, modern science has proven that the aroma of sage increases the oxygen supply to the brain, producing a physical relaxation of muscle tension. In addition, the smoke from some herbs actually changes the molecular structure of air and energy, producing a cleansing effect. As the sense of smell is connected very powerfully to instinct and memory, the burning of smudge sticks has been found to be a very effective aromatherapy agent, especially when combating feelings of depression, anger, fear, frustration, resentment, and grief. Different plants are used for the smudging, depending on your location and what plants are readily available. The dried plants are typically rolled into a thick stick and then tied together, allowing them to be lit on one end. People on the East Coast primarily use tobacco, cedar, sweet grass, juniper, pine needles, cypress and sage. Out west they use tobacco, pinion, desert sage, and sweet grass. Likewise, different plants are used for different purposes, depending on the focus of the smudging ceremony. Often sage and cedar are used to purify, while tobacco is used to send prayers, and sweet grass to attract angels and sweet-spirited ancestors. "We also use sweet grass to bring ease to a space when we need to discuss something that is difficult to say," says Grandmother Wapajea. Sage or other sacred plants - Sage represents the earth element and when burned, the smoke from it represents the air. Abalone shell - meant to hold and burn the plants. The shell represents the water element. Matches or a lighter - represent the fire element. Feather - represents the air element. Drum (or sacred drumming music) - represent the beat of the heart. Often, smudging involves a four-direction ceremony. Clear your space of clutter and mess and open up windows and curtains and allow for clean air to enter. Light your sage (or other herbs) on fire and then fan the smoke with your feather around your body and anyone else in your space. Start in the East where the sun rises; go to the South and honor creativity, our children, the child in us, joy and hope; go to the West where the sun goes down, and the blackness of introspection begins when the day is done; go to the North where our rest awaits us. Use a feather to fan the sacred smoke in each direction, one drums, one sings, one dances, one prays, until all have circled back to the east. During our research we found a wonderful site that you may enjoy. Here's the link! In matters of design, function and aesthetics go hand in hand. While there are arguments for the importance of both utility and beauty, it's a pointless debate much like the age old speculation over which came first - the chicken or the egg. In order for both aspects of design to succeed they must complement one another. A room, no matter how exquisitely furnished, will not meet the needs of its occupant if it's housed in a poorly designed and poorly executed shelter. Likewise, a well thought out, well planned home designed by an architect of good reputation will not serve the resident either if they have no bed to sleep on, no chair to sit in, no cupboard to store linens, etc. An excellent example of form verses function comes to mind in discussing design. The opulent ship Titanic was spared no expense when outfitted with furnishings, wall coverings, carpets, and draperies. The magnificent interiors were spared no expense, down to the smallest of details. Yet the ship's flawed construction and disregard for safety standards proved to be the unfortunate ending of thousands. In this situation one could not argue which is more important: The design of the ship and its ability to safely carry passengers over the ocean would seem to take precedence. However, one must also take into consideration the needs of the passengers during such a crossing, as there were other journeys during which the voyagers perished on ships that had no consideration for the comforts of travelers. In this instance passengers perished not because the ship was unseaworthy, but because health and well-being were compromised with the lack of planning for sanitation and living quarters. There will always be a need to balance the technical and practical with comfort and beauty. 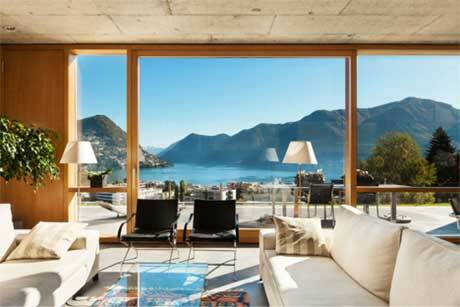 Therefore, it's best for the two to collaborate and complement one another, as in matters of home design. When an architect and interior designer work in unison, there will always be a higher quality to the final product. Both the architect, who has knowledge of building codes, structural necessities, and construction techniques, and the designer, who contributes with an eye for art, a desire to create order and balance, and the ability to make living conditions better by implementing solutions to daily living, are an ideal team. The dreamers and the thinkers should form a partnership to create a harmony which best expresses the tastes and preferences of the occupant of a home. It's important to be as knowledgeable in aspects of design styles as possible in order to provide the best service for the client to accomplish this objective. The job of the designer is to surround patrons in an environment that meets their needs by expressing their individual preferences, which can only be achieved by an understanding of the many different styles and options available. It's the job of the interior designer to translate the personality, living needs, and preferences of a person into a physical manifestation through form, style, colors and textiles in order to provide an authentic reflection of that person. Hot off the presses, Rizzoli recently released a design book to die for, from interior design icon Vicente Wolf. Based on Vicente Wolf's belief that the classical elements--earth, water, air, and fire--form the basic building blocks of great interior design, the book is divided into four sections. Through breathtaking photography (by Wolf himself) and an engaging narrative, Wolf walks the reader through the process of designing around these principles. Air showcases projects that contain a lightness of spirit, open in feeling, with a palette that creates an atmosphere without boundaries. Earth features grounded interiors, where stone, wood, and natural textures form the foundation. Water shows fluidity and environments with reflective shades of blues and aqua, while deep colors, reds, and dramatic qualities are showcased in Fire. Vicente Wolf is one of the most celebrated interior designers working today, with his work featured in all the top shelter magazines and blogs, consistently named to the AD100 and chosen by House Beautiful as one of the ten most influential designers in the United States. He is the author of three previous titles: Learning to See, Crossing Boundaries, and Lifting the Curtain on Design.